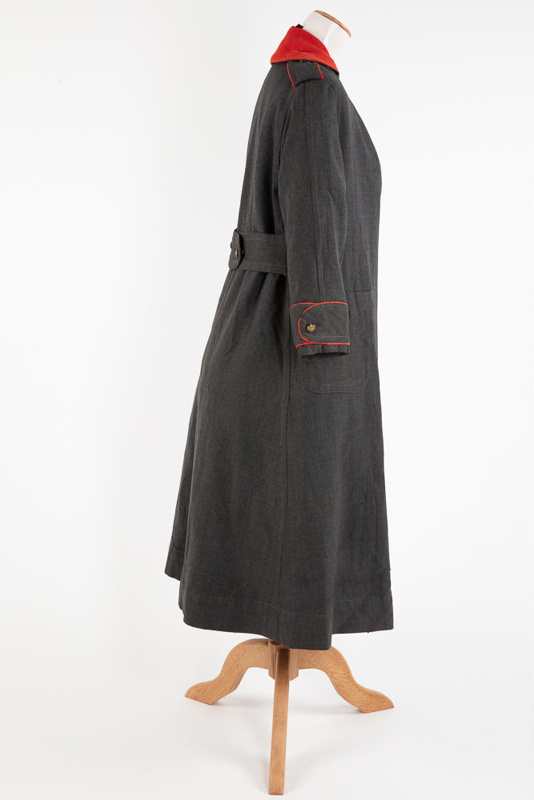 This coat belonged to Margaret (Amy) Smith who served on the hospital ship Marama on its first commission. 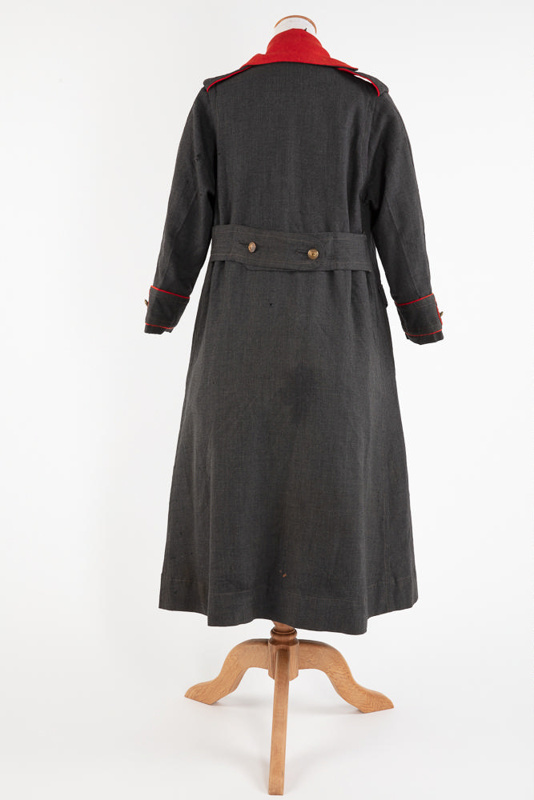 Little is known about the manufacture of Amy’s nursing coat, however, during the First World War army uniforms could be quite different from each other. 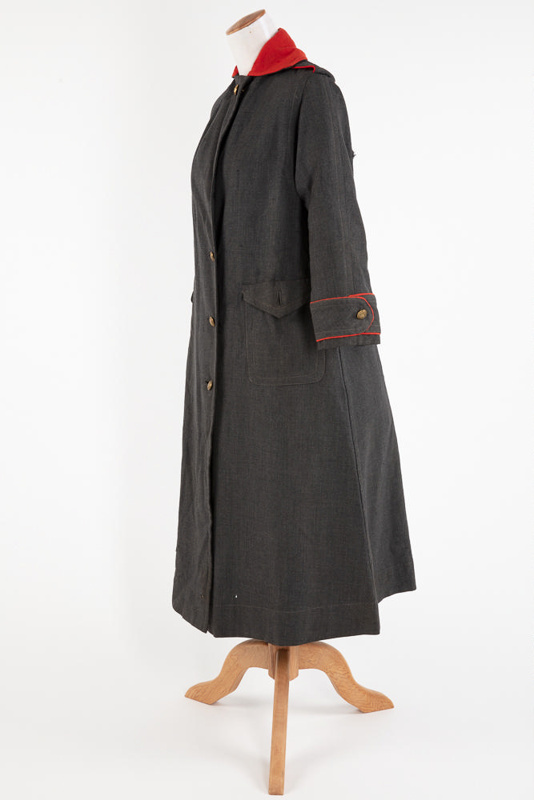 It was acceptable for personnel to have their uniforms tailor-made or home-made, the only requirement being that they could pass inspection. The Marama transported wounded men back to New Zealand, however, the ship did undertake a couple of frantic trips between England and France during the Battle of the Somme in 1917. 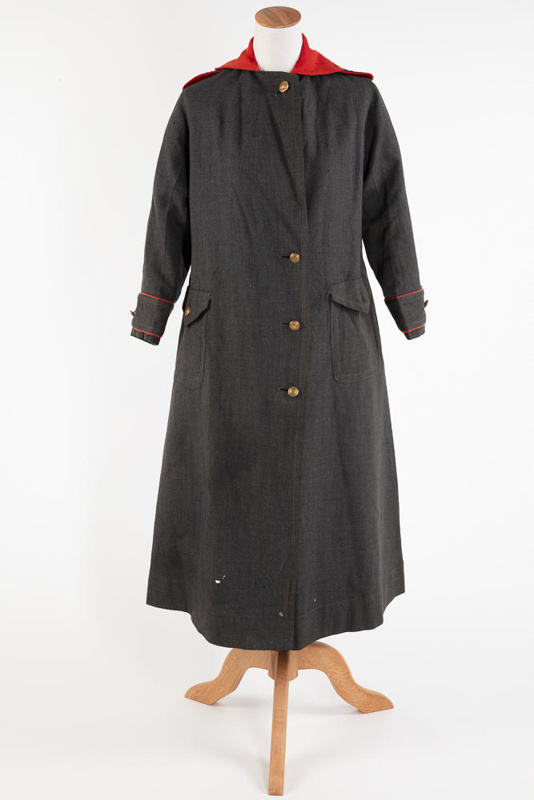 Amy trained as a nurse at Gore’s Seddon Memorial Hospital in 1910 and on board the Marama specialised in the care of head and mouth cases. Upon her return in 1917, she married Robert Short White of Otama Homestead, Wendon, Waikaia. Robert was drafted not long after this and Amy gave birth to their first child, Florence, while Robert was away. She was a founding member of the local Red Cross and during the Second World War organised and gave many home nursing classes; important work for those families left to care for veterans disabled from their service. Amy lived a long life, passing away in 1967.